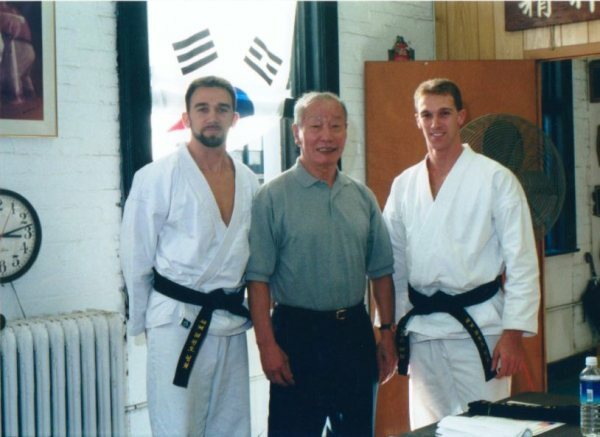 Kelly's Tae Kwon Do's founding members, Paul and Chris Kelly began training in the Art of Chung Do Kwan Tae Kwon Do under Master Keith Lipsey and continued their training with 9th Dan - World Tae Kwon Do Association President - Grand Master Duk Sung Son. Paul & Chris Kelly were presented their 6th Dan Black Belts in May of 2008 by Grand Master Son. Grand Master Son retired in 2009: Kelly's Tae Kwon Do continues the traditional Art of Chung Do Kwan Tae Kwon Do in New York, North Carolina, Georgia and Florida locations under the direction of The United Tae Kwon Do Society.